She looks forward to spending her years after graduation continuing to help other student veterans. After 9/11, Deidre Ashley’s older sister brought home a packet about joining the Marine Corps. Only in the fifth grade at the time, Ashley watched the enclosed video and read the documents. Though her older sister never ended up joining, Ashley knew what she was going to do when she grew up. "I served seven months at Camp Leatherneck, Afghanistan, a year at Camp Fuji, Japan, and three years at Camp Lejeune, North Carolina," said Ashley. "The most rewarding experience was probably the experience itself. Not a lot of people get to experience everything that a service member does." When Staff Sergeant Ashley returned home after four years of active duty in the Marine Corps she knew she wanted to attend college. After considering NYU, her state of origin, she chose to attend Missouri State to stay close to family. At Missouri State, Ashley served as president of the Veterans Student Organization (VSO), which serves to further personal growth and leadership through community and campus engagement by awareness, education and services. 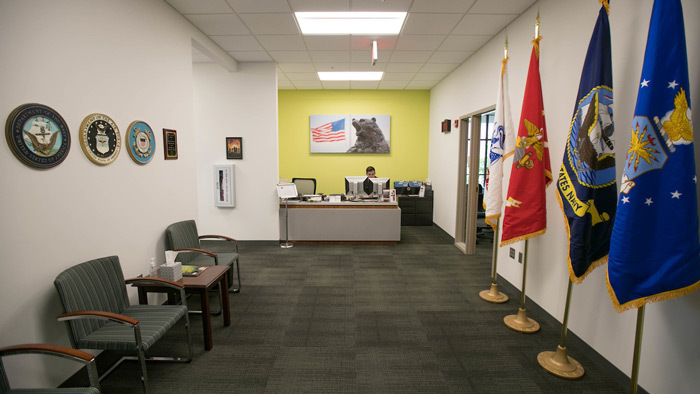 Following graduation, she was named an office support assistant in the Oldham Family Veteran Student Center. “I help veterans understand their benefits and make sure they’re taking the right steps to get their tuition and fees covered by their specific GI bill,” said Ashley. 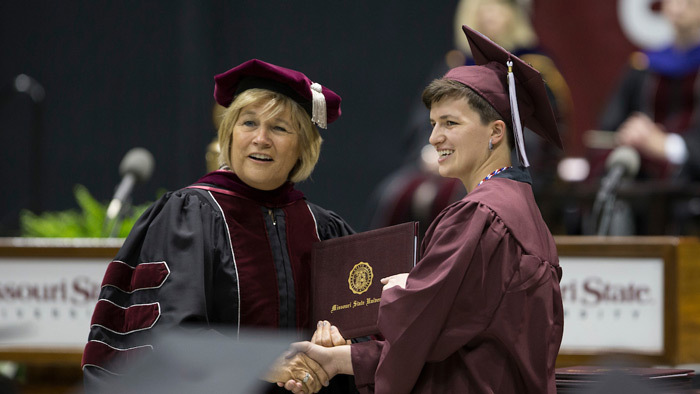 Raeleen Ziegler, director of the Veteran Student Center, recognizes Ashley’s helpfulness to service connected students. After Ashley was informed that a local WWII veteran’s home had been damaged by a fire, she knew the VSO could help. Since graduating with a degree in criminal justice, Ashley has continued to focus on helping other veterans make the transition from military service to student life. She recalls her experience of being a new student on campus. Ashley looks forward to spending her years after graduation continuing to help other student veterans. Ziegler says that Ashley is a true #CitizenBear. Philosophy alum Thomas Limbrick will spend two years clerking with the Missouri Supreme Court. Mary Ortman wanted a less expensive option for school. MSU gave her that and much more. "I was prepared to start my nursing career in the hospital."